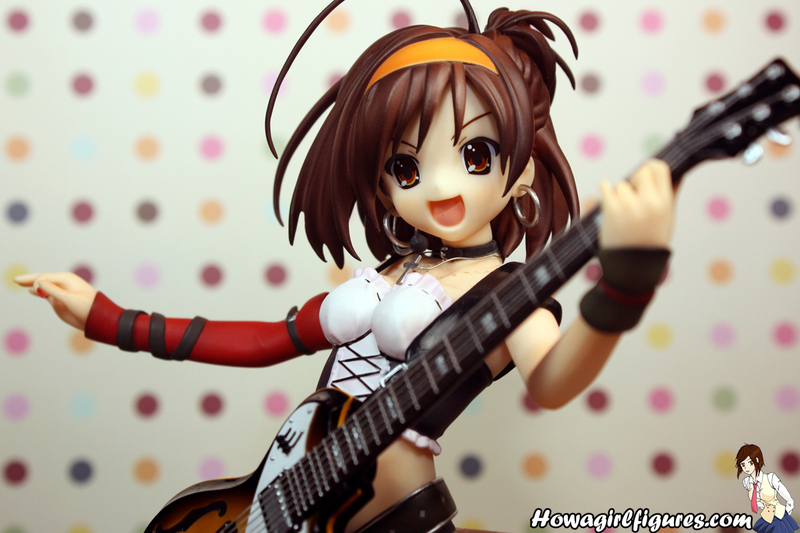 I’ve been staying away from getting more Haruhi figures for a while. I just wanted to complete the original set of Max Factory figures and then be done with any figures from this show. But no, Max Factory has to announce this amazing set of Haruhi, Mikuru and Yuki from the designs of the promotional posters for the Suzumiya Haurhi no Gekisou concert. I have always loved this design of the whole gang and for them to release a figure is just awesome! Now it would also be totally awesome if Max Factory decided to release the rest of the entire gang, Tsuruya-san, Kyon, Koizumi, Asakura, Kyon’s Imouto, Taniguchi and Kunikida. 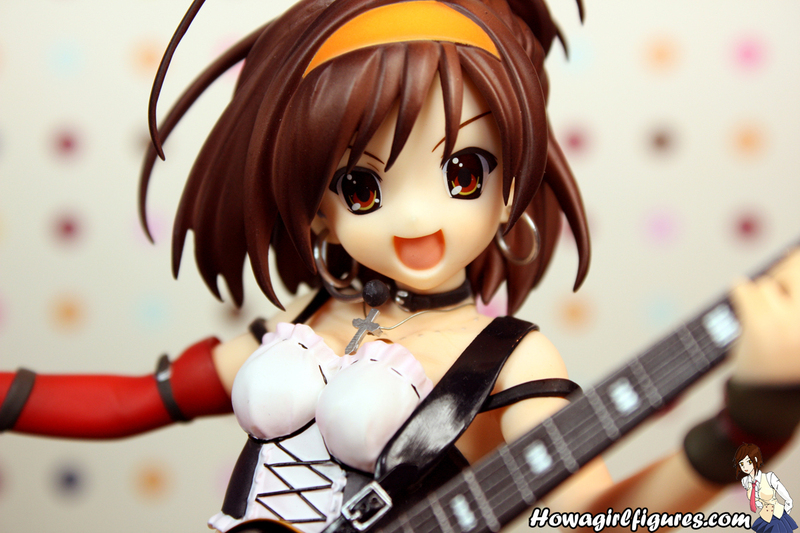 Max Factory is hands down on of my most favorite figure manufactures. The quality of their releases always finds out a way blow me out of the water with their amazing designs! There is also something about figures that have an original illustration to be based on, gives you something to compare to and when you compare this figure to her original design she’s flawless! I adore how the guitar has strings, too often PVC releases don’t get this kinda of attention and it looks amazing! Love her Hoop earrings, I sadly can’t rock hoops without looking like a Chola. Love the skirt and the two different length of tights, plus the shoes are just awesome! 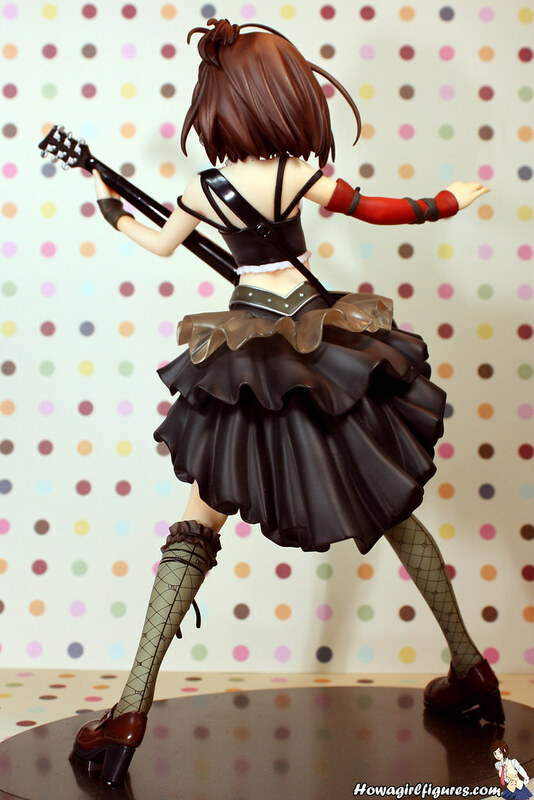 The folds in her skirt looks so amazing! just gives you this amazing feeling of movement! The moment she was announced i knew i had to get my hands on her. Once again Max Factory has me running to complete the set as well! 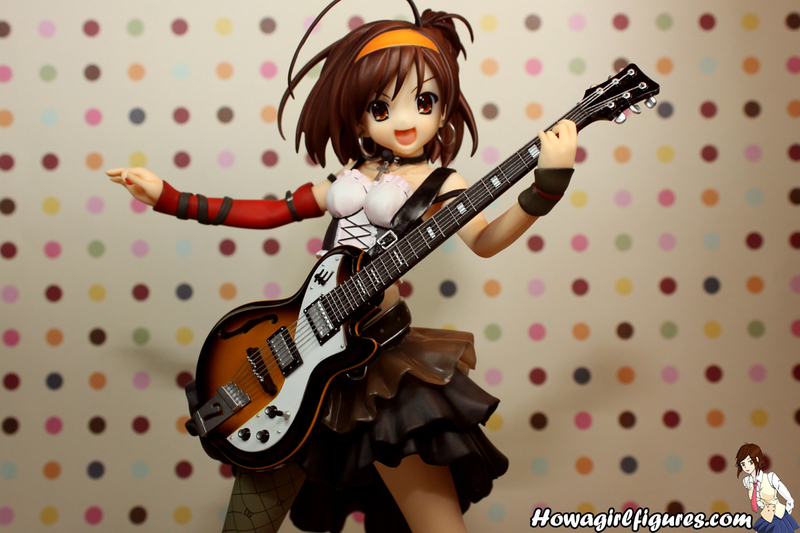 I already have Mikuru who should be getting her own review soon as well. 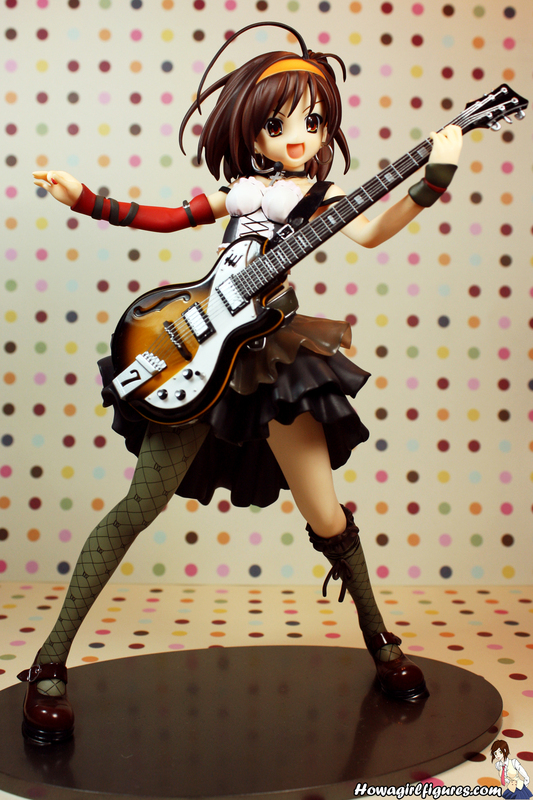 Also have Yuki Pre-ordered as well so i’ll have the whole set soon enough. 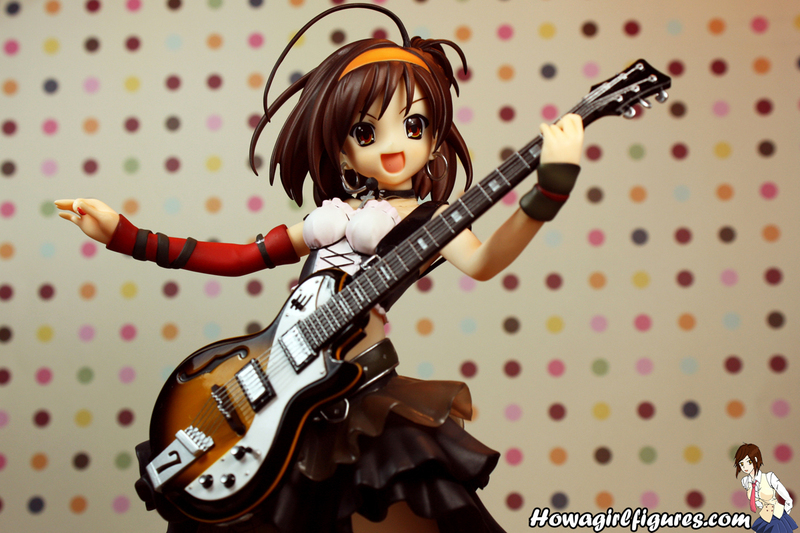 Haruhi and Haruhi related figures are like Fate/Stay Night figures. I was never that interested in getting merchandise from the series or of those character but end up getting tons since they just keep releasing some amazing figures of them different unique designs. 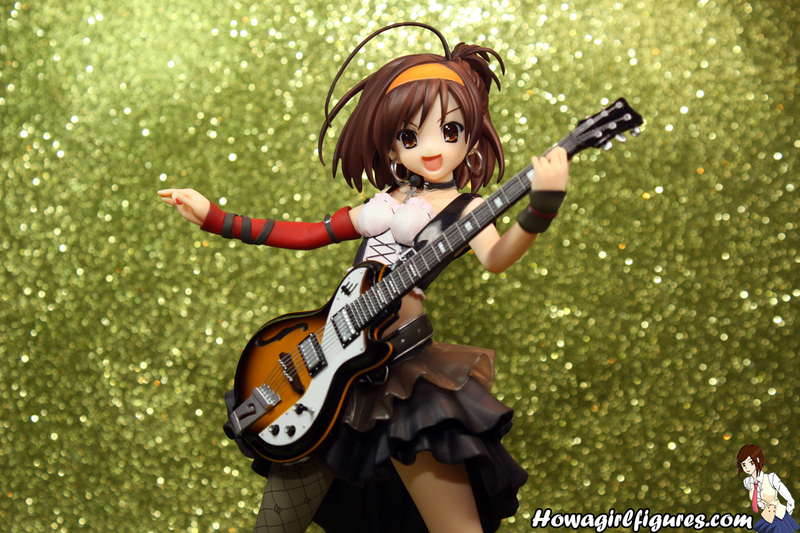 It’s hard for a figure collector not to stumble upon a Haurhi or Haruhi related character when they just keep producing such amazing beauties. Haruhi is still in stock at many of these fine retailers! I lucked out on getting this one myself! It was used for 3000 yen and in perfect condition. It really is beautiful. I vowed not to give in and buy it but instantly broke that when I found it for 60% off…I even bought the Mikuru. wow what a steal! where did you find it for such a deal? a private sale or some site? I got it when I was in Japan over the last 2 weeks of April. 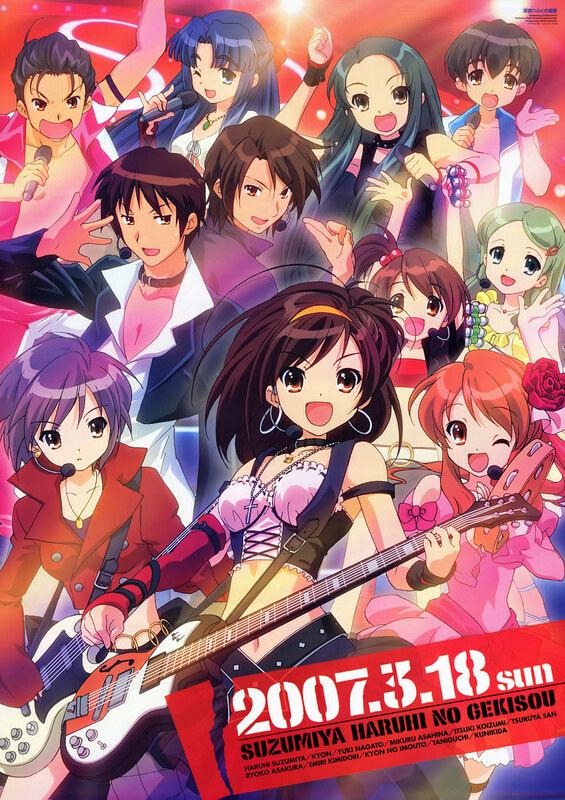 There was a store that had it used in Otome Road (Ikebukuro) along with some other used figures and doujinshi. I was surprised something so new was being sold so cheap. I found nothing wrong with it apart from a little bit of the paint wearing off of the strings, but that’s nothing to complain about I think. wow what a deal! i love finding amazing figures for super cheap! well thanks, i’m gonna have to say she’s my favorite as well! 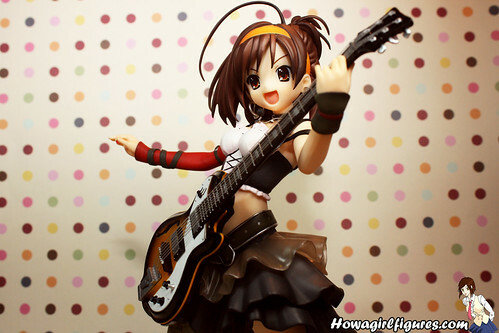 it looks great, I really want that figure but she is so expensive. what happened earlier to your blog, why was it down? Another beautiful figure from Max Factory. It’s a shame they don’t do too many PVC’s these days. Figmas are fun, but I miss all the lovely stuff Max Factory pumped out. 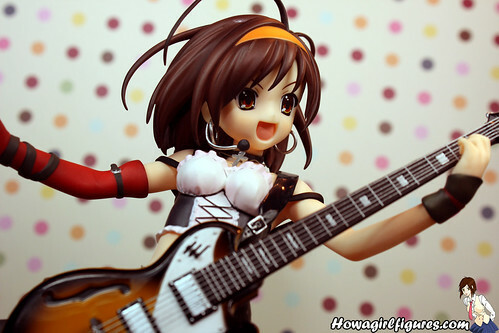 OK, that’s it I’m getting this, all of you post such beautiful pictures of this Haruhi release. YAY! you’ll love her for sure! she’s just amazing! Where did you get your Haruhi from? Why won’t they let you cancel your order? 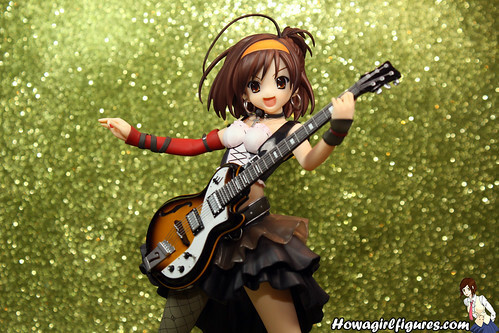 I want this too,I don’t own a single Haruhi yet..
Did you pre-order adult Mikuru as well? 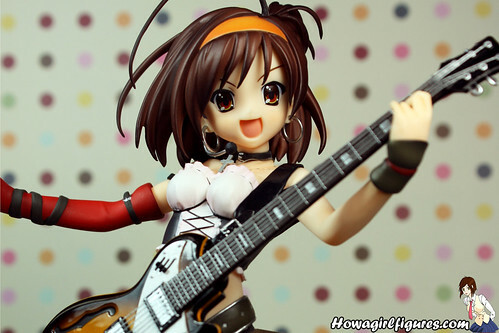 I foolishly thought my MF Haruhi figure collection was done when I finally tracked down Tsuruya! I was so so wrong too. I look awful in hoop earrings but I love them on figures and a lot of other girls. When I wqs packing to move I realized I had put a scratch in the paint of my Ryoko! MUST FIX! lovelyduckies last blog post..Summer Vacation is Here! she’s still in stock at plenty of other retailers online! Wow! She’s so beautiful. I hope they make the rest of the crew, that would be amazing. I’ll definitely have to pick this one up. Ambergurs last blog post..The Twins and Yotsuba&! it would be awesome if they made the rest of the crew for sure! it would be hard to pick up! Thanks to the mass review I read (including yours) I placed back my order and I don’t regret it a bit. It was a mistake to cancel but the lack of funds was one of the reasons why at the time. 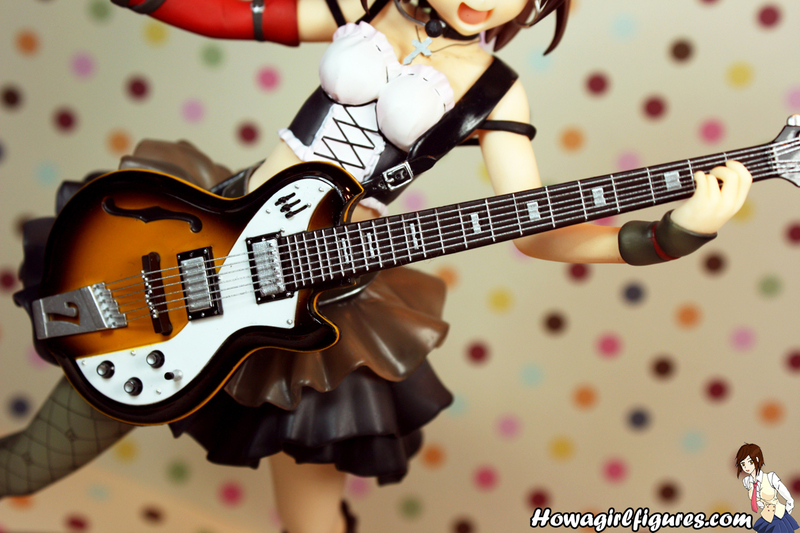 It’s rare for figures to have actual guitar strings. I’m so conflicted about these figures! I enjoyed the anime, but I never really got super into it like a lot of fans did. So I never really felt compelled to get figures… but this set is so awesome looking! I especially like the Nagato one, but if you get one you need to get the others! Oh man, so hard to decide!